What's Hiding Behind Buzzwords in Job Ads? You've heard the job ad jargon so often, your eyes glaze over: detail-oriented, fast-paced work environment, team player. But these well-worn phrases can expose the dirty little secrets of your potential future employer. Read enough help-wanted advertisements, and you'll soon realize that they all basically sound the same. Jargon like "detail-oriented" and "self-starter" is so overused that the positions advertised begin to sound unremarkable: part of the expected landscape of hunting for a job. But if you stop and think about what all of these buzzwords are signaling, you'll realize how much information you just might miss if you fail to read between the lines. First of all, when employers fall back on the same old jargon to advertise positions, it could very well be that they actually have no idea ... Read the entire article. Good Tourist/Bad Tourist Visiting the U.S. Along with the fluffy pink cherry blossoms ( and abundant sunshine, something else begins popping up in Washington around April. Tourists. From April to August DC is awash with out-of-towners. Great locust sized hordes of them clog the metro and swamp the mall. I will say up front: everybody is a tourist at least some of the time . It’s not that I feel any innate superiority to the visitors to my city. I always try to be charitable and treat them as I would like to be treated. The fact is though, that there are some really inconsiderate ... Read the entire article. There are plenty of ways you can lose satisfaction in your job. You may have outgrown your position and feel you're overqualified. You're stuck in a rut, bored by the day-to-day routine. Or you're angry and frustrated at not getting the opportunities and accolades you've earned. Take a breath. You can get things back on track. But you will have to gather up your courage and have the "talk" with your boss. If you're like me, the whole idea of meeting with your boss to talk about your future is scary. But if you want change, speak up. Your happiness depends on it. The conversation needn't be contentious. After all, your boss probably has no idea of your frustration. Instead, use ... Read the entire article. Refusing to wear your seat belt is just one way to get kicked off a plane. We all know by now that stupid comments like joking about bombs can get you booted from your flight. But it turns out that plenty of other things can you tossed, as well. From taking pictures to wearing your politics on your sleeve (literally) --here are things you should avoid if you want to make it to your destination on time. Once inside the plane, policies vary on taking pictures, depending on the airline. Some will allow snaps, but only of your friends, family and fellow passengers. Other carriers say no pictures at all. Generally the “no photos” rule exists to eliminate the chance someone is doing surveillance. Booted: Recently, Mathew Klint on a United Airlines flight from New York to Istanbul, was ejected after taking pictures of the cabin with his iPhone. Klint says he was writing a review of the business class service. The cabin crew told him that photos or video was prohibited without getting permission first. That irreverent t-shirt with the swear words might help you pick up the chicks in Bushwick, Brooklyn. But TSA and airline staff vet people for clothing that may make passengers nervous or upset. And it doesn’t have to be just ... Find Out More. Last year, about 1 percent of 143 million tax returns were audited by the Internal Revenue Service. Put another way, that is nearly 1.5 million Americans who had to endure what the IRS more politely calls an "examination." You want to be able to document every deduction and keep that proof for at least three years from your filing date. Certain ZIP codes, like those in higher-income neighborhoods, have a higher audit rate, says tax ... Read the entire article. My friend, Robin, sent me another heartwarming heartworm story from one of her many happy clients. She's been helping people and pets with heartworms for a very long time. Her website has a lot of such testimonies, but I love to share one from time to time in this blog. There are many heartbroken stories of pet owners who didn't find Robin's website, so if you can help me share this information, more dogs will be able to live and make their human family soooo happy! 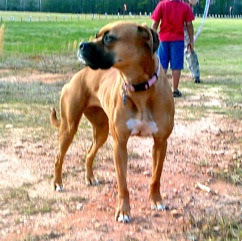 Our family is extremely partial to boxers and we have always bought them from breeders. However, this time we decided to rescue one. As God would have it, the day we set aside to look for a dog, there was one at a pound, only 45 minutes away! We (all six of us) went to meet Gigi. Poor baby! She was skin and bones and terrified of everything ... especially people. I was a little nervous about getting her, thinking she might bite one of the children out of fear, but my husband reassured me that she wasn't aggressive and he would like to take her home. With four children around, Gigi didn't have a chance at staying afraid of people. They loved on her, hand fed her, slept with her, brushed her, walked her, etc. She has become the best dog we have ever had; the most loved dog in the world. So when we took Gigi in for a routine check-up and found out that she had a severe case of heartworms (apparently contracted at least 4 months before we adopted her), we were devastated! The vet recommended that we either euthanize her, or put her through a $1000+ regimen. We couldn't afford the treatment, so we went home and told the children what the vet had said. They cried for two days and gathered up their life savings (about $20) to help pay for "Gigi's heartworm poison." I was already treating my family with essential oils, so it occurred to me that there must be some way to treat my pets naturally as well. Google, here I come! Lo and behold, Bandit's Buddies popped up! So I ordered the regimen and began it right away. Fast forward to her next routine check-up (6 months later). I asked for the heartworm test to be done, just hoping that the severity would be down to moderate or mild. The vet came in with the results of all the tests and said, "Gigi is a very sweet, healthy dog. Just make sure you brush her teeth regularly." Read more about Bandit's Heartworm Program. Read about Bandit's Prevention or Maintenance Program. Boy, it feels like just yesterday you were breaking that new laptop out of the box. But it's been four years and now you can't turn it on without strange windows popping up on you. And why does it shut down without warning lately? You could pay your local tech person to fix it. But are you better off simply buying a bug-free new one? It's a question all people grapple with from time to time — whether it's the dishwasher, the fridge or an electronic gadget. "The common thought is that 'they don't make them the way they used to,' but we found that's not ... Read the entire article. Once the IRS knows you haven’t paid, automatic collection activity begins--but only the ... Read the entire article.